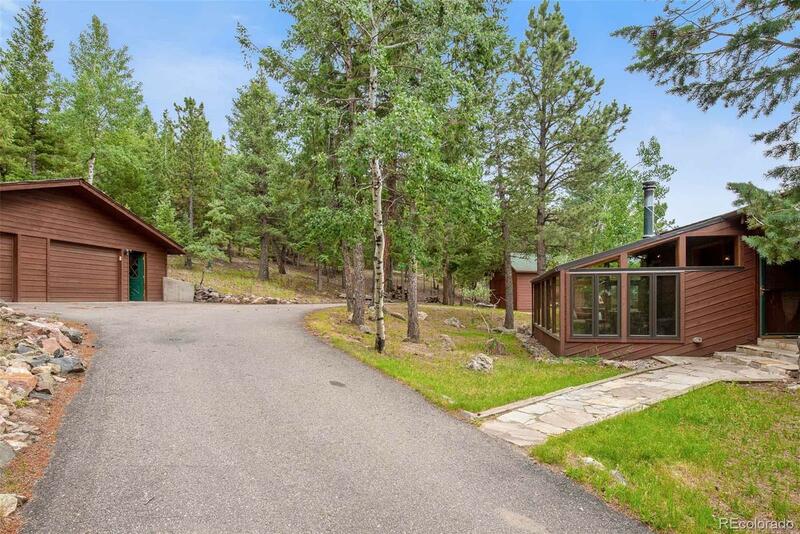 Beautiful and secluded mountain lodge style home situated on two acres, which feels like ten! This unique mountain home offers a wide open great room and kitchen complimented by large windows which capture the magnificent views. The sunroom is perfect for reading, watching the game, or even star gazing on a clear Colorado evening. Walk out on either floor and enjoy quiet time on the spacious decks or patio. Snow-capped mountains can be seen from multiple locations on the property and the pleasant surroundings offer an opportunity to view plenty of wildlife. Donât miss out on this wonderful mountain experience!